Now is the time to jump into a whole foods regime. Spring offers endless options. We are officially out of hibernation mode and into springing forward with revived energy. 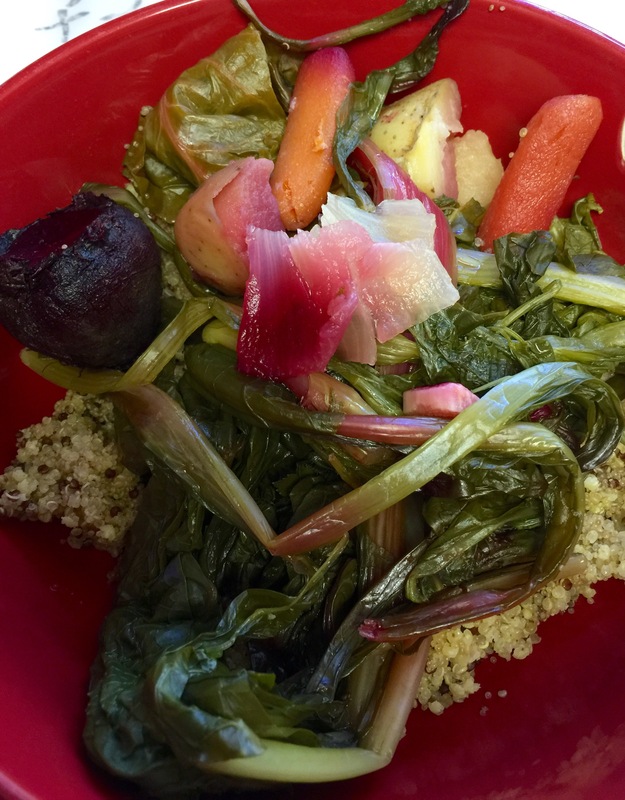 Streamed veggies: beets, dandelions, onions, carrots and chard over ancient grains (Quinoa, Amaranth, Millet). Olive oil, sea salt and garlic. Topped with fresh lemon. Eat Beautiful to be Beautiful from the inside out!